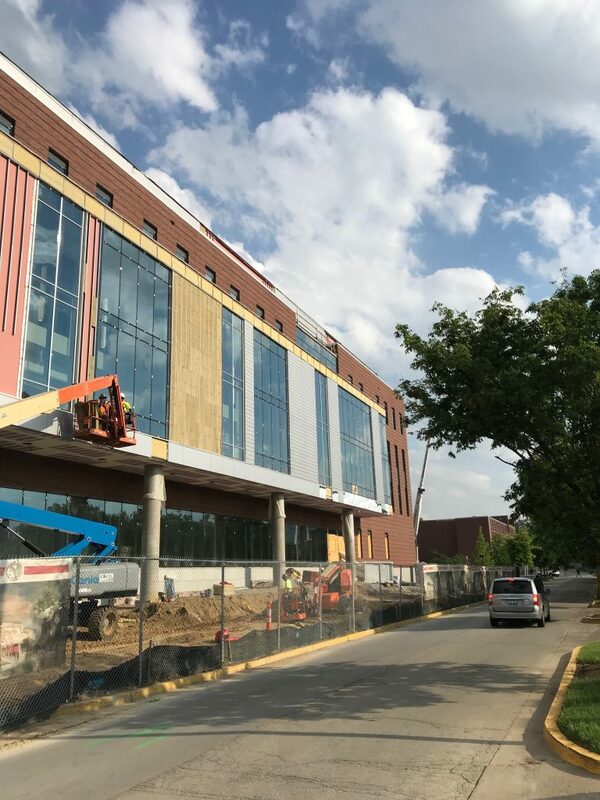 American Roofing and Metal of Lexington, KY is busy completing the exterior wall systems for the Belknap Academic Classroom Building at the University of Louisville’s Belknap Campus. Goody Clancy of Boston MA, an academic building specialist, developed the design which features major curves and has a contemporary aesthetic. 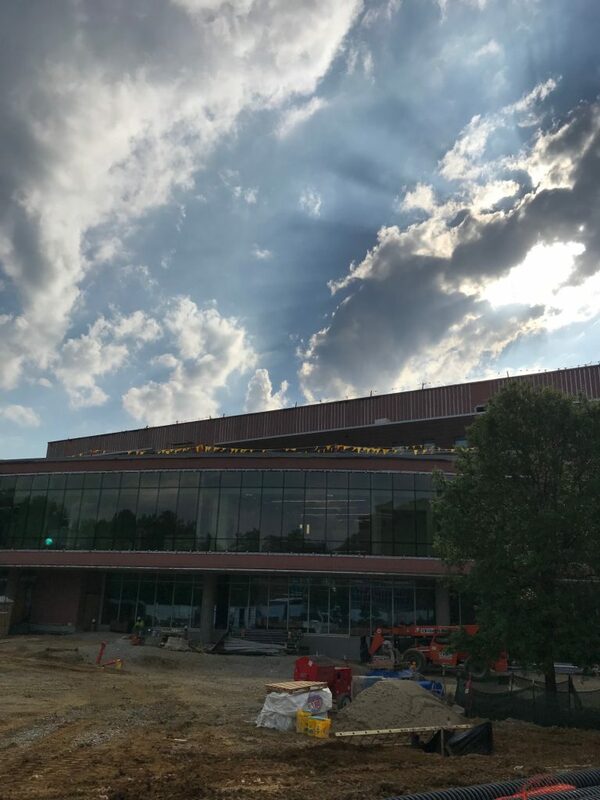 The new building will house 20 technologically-current, active learning classrooms, study and seminar spaces, chemistry and biology labs, a multipurpose teacher space, physics labs and one anthropology-physics lab, and the Student Success Center including Resources for Academic Achievement (REACH), Exploratory Advising, First Year Initiatives and offices for student success coordinators. 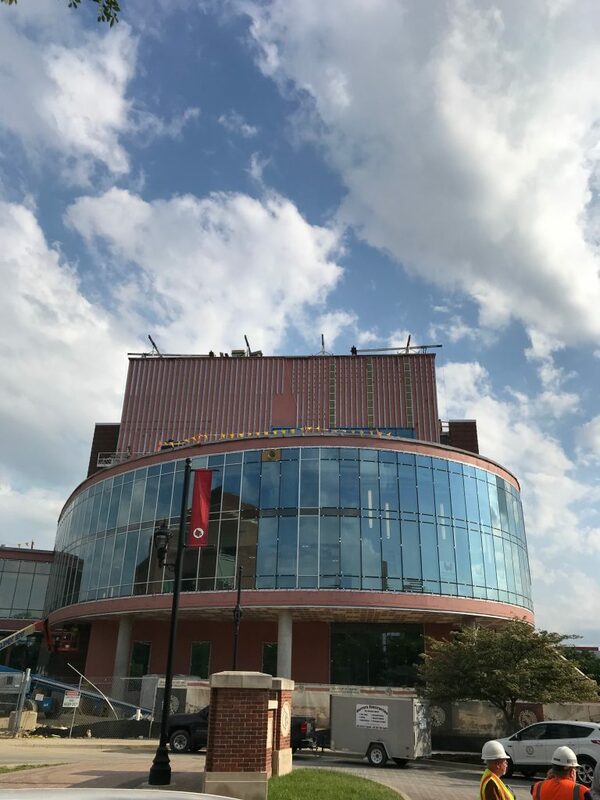 The design aims to convey the forward-thinking objectives of student success and achievement. 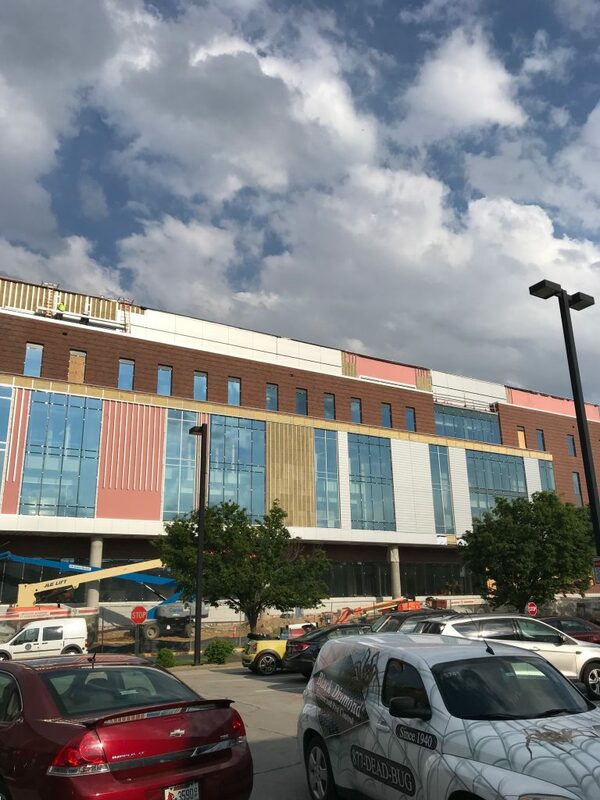 To achieve its modern look, the exterior façade features Metalwërks’ Arcwall and Econowall Rain screen wall cladding panels. 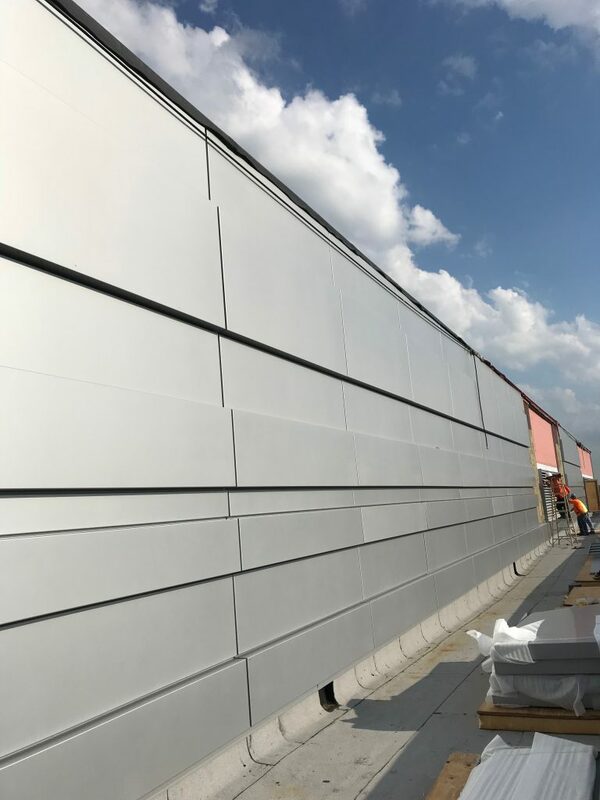 Both products are formed from solid metal plate and coated with a PVDF AAMA 2605 Rated exterior coating. Econowall has immense design flexibility and is intended for smaller format profiles. The product is available in material thicknesses from .050” to .090” thick substrates for “plank style” installations. 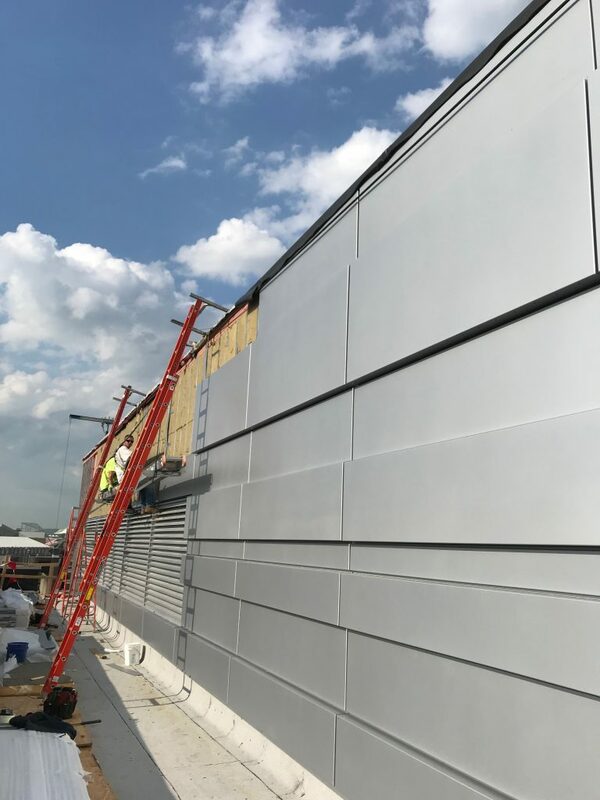 Arcwall is an aluminum plate product produced for larger panel formats with welded and ground corners, weep holes and internal drainage and stiffeners. It can be flat, curved, or formed into custom 3D profiles.